Fifteen-year-old Ilyas is under pressure from everyone: GCSE’s are looming and his teachers just won’t let up, his dad wants him to join the family business and his mates don’t care about any of it. There’s no space in Ilyas’ life to just be a teenager. Serving detention one day, Ilyas finds a kindred spirit in Kelly Matthews, who is fed up with being pigeonholed as the good girl, and their friendship blows the social strata of high school wide open. But when Kelly catches the eye of one of the local bad boys, Imran, he decides to seduce her for a bet – and Ilyas is faced with losing the only person who understands him. Standing up to Imran puts Ilyas’ family at risk, but it’s time for him to be the superhero he draws in his comic-books, and go kick the moon. When fifteen year old Ilyas finds himself embroiled with the 'wrong crowd' at school his life begins to spiral in a very scary direction. After always being a target of bullying, Ilyas got caught up with 'DedManz' as a way to protect himself from the bullies, but the role he is starting to play within the gang is becoming increasingly violent and he is beginning to feel as though he wants out. But when your gang is run by a formidable teenager such as Imran who everyone a) adores and b) is also terrified of - there is no easy way out. Muhammad Khan's debut, I Am Thunder, has been on my TBR for an age and I'm ashamed that I still haven't yet got round to reading it after hearing so many incredible things. However, when theopportunity arose to review Muhammad's highly-anticipated second novel it felt like too good an opportunity to pass up...And after devouring Kick the Moon and loving every single page, I can't believe what an amazing writer I have been missing out on. 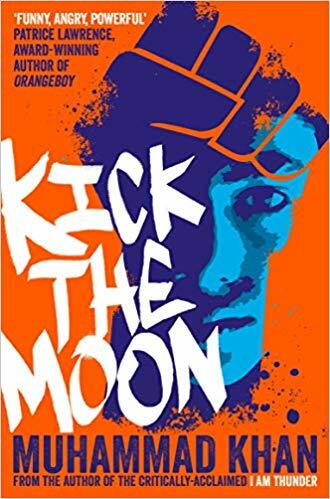 Kick the Moon captured both my attention and imagination right from the very start, when Ilyas was reprimanded for dressing as Superman on World Book Day at Primary School because of the colour of his skin. Although this was only a short chapter at the beginning of the story it hit me quite hard and my heart broke for Ilyas. I immediately knew just how powerful this book was going to be and it was fascinating to see how an upsetting experience for Ilyas turned into the creation of PakCore. I knew from then on that Ilyas was going to be a strong character who would eventually be a force to be reckoned with. However, there were times throughout the story when I feared for Ilyas. I loved his determination and how he never gave up on his dreams, but I desperately wanted him out of DedManz and for him to reach his full potential, but the behaviour of Imran and his crew constantly made me realise just how difficult that would be. I felt suffocated for Ilyas; as a reader couldn't see a way out for him, so goodness knows how he must have felt. I began to grow more and more fearful for his future as golden-boy Imran worked his magic. The friendship that Ilyas and Kelly strike up was probably one of my favourite things about this novel. The way they collaborate on their ideas (Kelly dreams of being a writer and her way with words fits perfectly alongside Ilyas's gift for drawing...) was magical and I loved watching their friendship blossom, despite the social and political (Kelly's Mum *cough*) barriers that were put in their way. There were points when I wondered if a romance was on the cards, but it was purely a platonic relationship and I absolutely loved that. So many Young Adult novels centre around romance, so it was refreshing to see two teenagers develop such a strong friendship that doesn't turn into anything else. I loved how confident Ilyas became when he was with Kelly - which is why I found myself ready to throw my e-reader across the room when Imran starts to meddle and goes after Kelly. I don't want to give too much away about what happened but the last quarter of the book made for difficult reading at times, and not only because I was so angry at Imran I wanted to give him a good old smack round the chops and make everyone see what he was really like. Ilyas was a character who really touched my heart. He did frustrate me at times, but I understood the power of peer pressure; we've all been there...And there was many a time when I was reading the story through my fingers as I could foresee what was going to happen. He has a heart of gold and the love, kindness and friendship he shows to those he cares about - including both Kelly and his family (even his sister who is pretty vile to him most of the time) really made me warm to him. I found myself genuinely caring about him and wanting him to succeed. 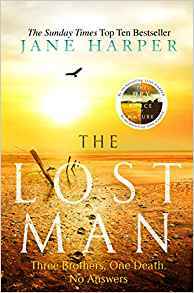 The only thing I struggled with in this story was the ending - I felt it was slightly too abrupt and I wanted MORE! I was surprised it finished at the point in which it did. In my mind there were a few things that were still unresolved and I desperately wanted to know who won the art competition (but maybe the joy is in not knowing and reaching your own conclusion?) Other than that I absolutely adored everything about this powerful, thought-provoking and realistic novel. The amount of themes brought to the table within the story was incredible; you have diversity, sexism, racism, bullying, emotional abuse and gang culture to name but a few. All are incredibly important topics and ones that I believe should be discussed openly in young adult fiction. Muhammad Khan is an incredible writer and it is apparent that his background in teaching has contributed to his accurate portrayal of teenagers, their emotions and their issues. He was fantastic at getting under your skin with his writing and building believable characters who you will either love or hate. I Am Thunder has jumped straight to the top of my TBR and I can't wait to read more hard-hitting, powerful fiction from this wonderful author. 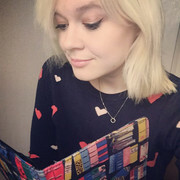 A huge thank you to publishers Macmillan Children's Books for the opportunity to review.